Nicknames of German princesses ? Re: Nicknames of German princesses ? 1. 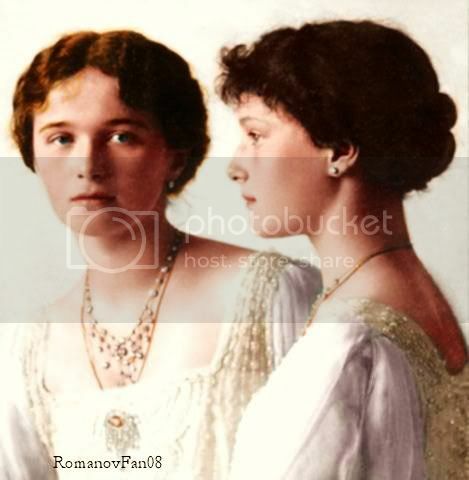 Princess Elisabeth of Hesse and by the Rhine (Grand Duchess of Russia) -- "Ella" -- I believe Ella's niece and namesake, little Elisabeth, was also called "Ella." 2. Princess Alix of Hesse and by the Rhine (Tsaritsa of Russia) -- "Alicky" "Sunshine" or "Sunny"
3. Princess Marie of Hesse and by the Rhine -- "May"
4. Princess Viktoria of Prussia -- "Moretta" or "Little Vicky"
5. Princess Margaret of Prussia -- "Mossy"
8. Sandra's eldest daughter, Princess Marie Melita von Hohenlohe Langenburg, was called "Marita"
9. Catherine the Great, who was born a minor German princess, was given the nickname "Figchen"
And lastly, but not least, we must not forget Queen Victoria of the United Kingdom, who was also a Princess of Hanover, and her childhood nickname: "Drina." That's all I can think of at this moment! I have newer seen such list before ! Princess Marie Louise of Schleswig Holstein = Lulu or Looloo..
Charlotte of Prussia aka Alexandra Feodorovna Empress of Russia "Mouffy"
Dagmar of Dk aka Marie Feodorovna Empress of Russia "Minnie"
Marie of Mecklenburg, Gr.Duchess Wladimir "Miechen"
Alexandra of Greece, Gr.Duchess Paul of Russia "Aline"
Elizabeth Sx.Altenburg, Gr.Duchess Constantine "Mavra"
Does anybody know why on earth was Alice of HD named Fatima ? According to David Duff Alice was known as "Fatima" because she was a rather corpulent baby and therefore her father - who thought that in Britain it was necessary to make a little joke here and there - gave her that charming nickname. I recall reading somewhere that when Victoria Melita was born, "Ducky" was a term that in general just meant "Cute" or something like that. It would be like calling someone "Cutie" or something similar. Princess Helena of Waldeck-Pyrmont was referred by Leopold of the UK (her husband) as his "darling Nellie." If I were Maud of Wales, I don't think I'd be pleased to have been known as "Harry." Anyone know why that was her nickname?